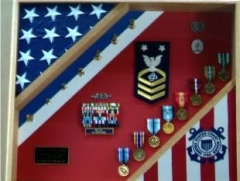 Our New Orleans Louisiana US Coast Guard Base flag display case is hand made by veterans, and made from quality wood, we offer a laser engraved glass for our New Orleans Louisiana US Coast Guard Base flag cases, and all orders for any flag cases will be shipped within 1 business day . 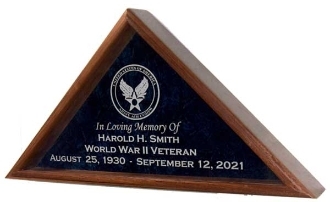 Click here for personlized engraving. 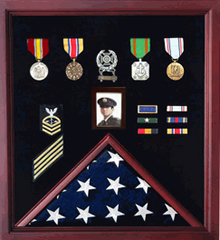 The back panel of your USCG Flag Display Case is layered with crushed velvet, making this the preeminent flag display case available anywhere today. 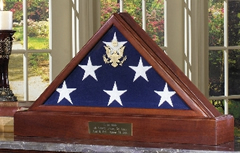 The USCG Flag Display Case can be zised up for the 5 x 9 and 3x5 flag as well. 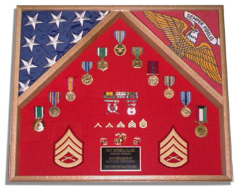 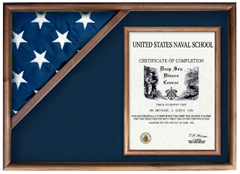 This USCG Flag and Certificate Display Case is available in either a solid oak display case or walnut flag display case. 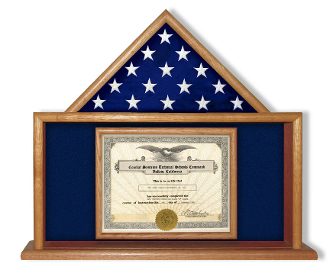 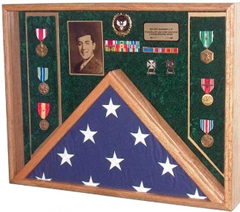 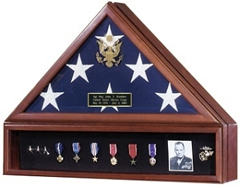 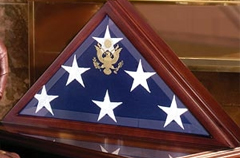 These USCG Flag and Certificate Display Cases are designed to beautifully display both a folded flag and other memorabilia in one convenient place.